We hold expertise in providing an extensive range of Commercial Kitchen Equipments, which comes in varied capacities & volumes. Manufactured using high grade stainless steel, it is well known for its perfect finish, smooth surface, and durability. Our range of Commercial Kitchen Equipment is in conformation with the defined industry standards and can also be customized in accordance with the clients'' requirements. We are looking for queries for Steel Kitchen Equipment And Accessories from Tamil Nadu, Kerala, Karnataka & Andhra Pradesh. Fully Automatic Chappathi Machine offered comprise modern design based automatic chapatti pressing machine and comes supported by electronic counter facility as well as auto collector tray that allows for recycling of die cut dough. 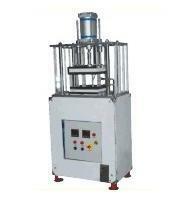 Further, the machine can be made available in different working dimensions ad find suitability for use in areas like canteens of college hostels, hospitals and others. 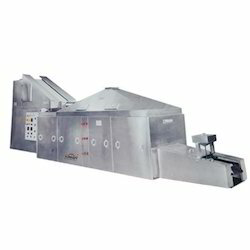 Some of its features include equipped with auto feeding to conveyor; varying production speed; option of changing thickness & size of chapattis as per requirements. Ball Cutting Machine offered comes designed and developed using latest technology support so as to provide for reliable and consistent work performance. 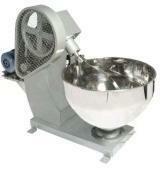 Further, these machines provide for round, ball shape with recommended water quantum of dough of 1:0.38 to 1:0.45. 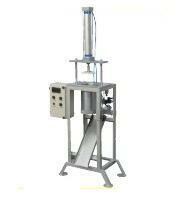 The machines come with high production capacity and have operating voltage of 220V/380V. Some of its features include low noise operations; high efficiency and simple operations; convenient cleaning up; machine capable of making well-shaped dough for pizza, steamed bun; used in factory canteen, school canteen and other areas. 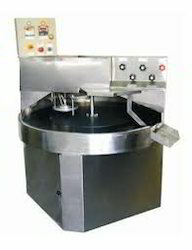 Looking for Commercial Chappathi Making Machine ?